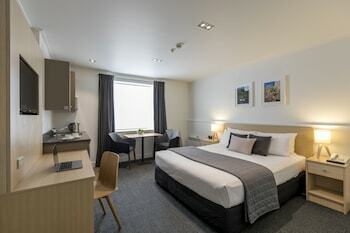 With a stay at Quest Dunedin in Dunedin (Dunedin City Centre), you'll be steps from Cadbury World and 6 minutes by foot from New Zealand Sports Hall of Fame. Featured amenities include complimentary newspapers in the lobby, dry cleaning/laundry services, and luggage storage. Self parking (subject to charges) is available onsite. Located in Te Karaka, Haurata - High Country Retreat is within the vicinity of Rere Rock Slide and Rere Falls. The front desk is staffed during limited hours. Free self parking is available onsite. With a stay at Woodstock Suite in Nelson (Stoke), you'll be within a 5-minute drive of Marsden Recreation Ground and Greenmeadows Park. Free self parking is available onsite.